Equipped with a newly developed eight day, single-button chronograph movement, the IWC Portofino Hand-Wound Monopusher chronograph makes its belated debut at Watches&Wonders 2015. Two years ago at SIHH 2013 the Portofino Hand-Wound Monopusher chronograph was in IWC‘s catalogue, but nothing was said of the watch and it was surreptitiously withdrawn (though it made an appearance early this year as a unique piece for charity). 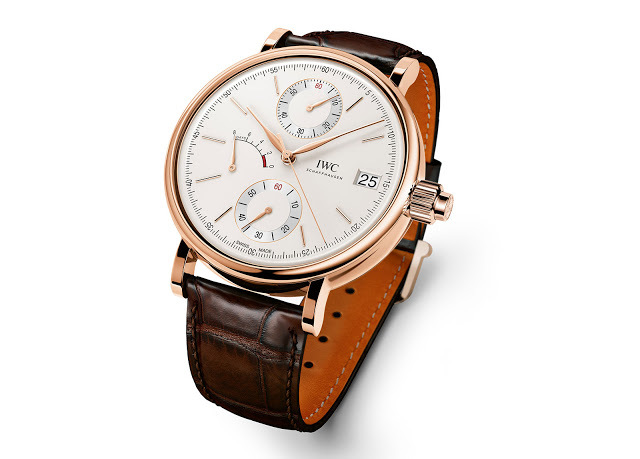 Perhaps to prove good things come to those to wait, IWC is officially introducing the Portofino Hand-Wound Monopusher at Watches&Wonders 2015. Featuring a single button in the crown to start, stop and reset the chronograph, the Portofino Hand-Wound Monopusher is equipped with the calibre 59360. 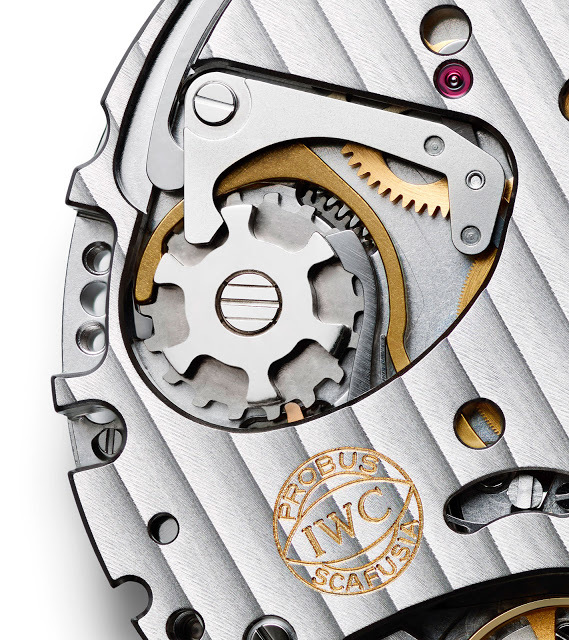 It’s a hand-wound movement with an eight day power reserve, and based on the movement found in the Portofino and Portugieser eight days watches. One possible reason for the delay is that long power reserve movements are usually designed to operate with minimal amounts of power spread across extended periods, while a chronograph requires extra power once it’s running. The chronograph mechanism is built on top of the base movement, which conveniently has a large and plain barrel bridge that can accommodate complications. It’s a compact and thin chronograph assembly measuring just 1mm high, thanks to the wide and flat parts of the mechanism. The chronograph has a central elapsed seconds hand, and a minute register at 12 o’clock. Constant seconds is at six o’clock, with the power reserve indicator at nine. 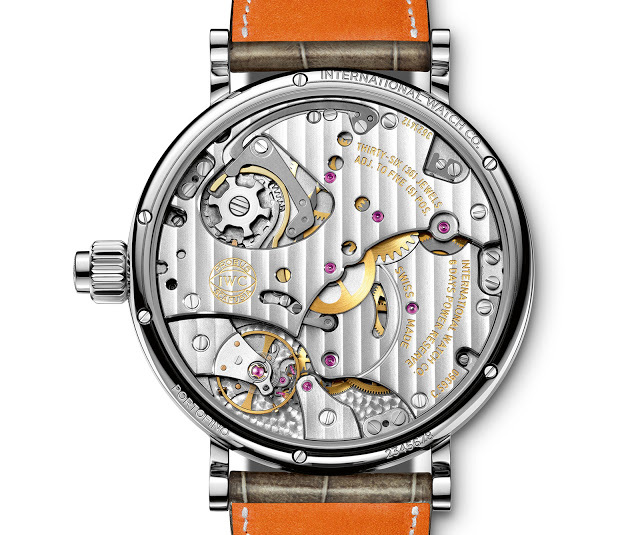 The Portofino Hand-Wound Monopusher costs S$38,900 in white gold and S$36,900 in red gold.